Support life-saving research with a global impact. From HIV vaccines, water purification systems, and STEM education to anti-malarial medications, drought-resistant crops, and a cure for Ebola – the next big breakthrough depends on you. You can ensure the best scientific minds across the globe have the tools, training, and connections they need to solve the problems facing our world today. If you have any questions, please contact Teresa Ventura by email or call 617-500-3014 x11. Give the gift of discovery through our secure online donation page. 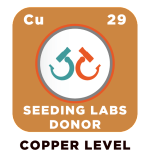 You can help world’s most talented scientists solve the complex problems facing us today. 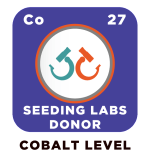 Become our newest monthly donor by signing up to be our Lab Partner today! 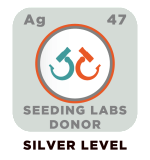 When you make a small donation each month, you make a big impact on global science. Plus it’s simple, convenient, and easy to cancel anytime. Become a Lab Partner today! Many employers offer matching gift programs for charitable donations made by employees. This is an easy way to make your gift to Seeding Labs go even further! 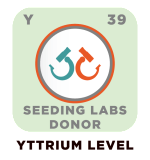 Your HR office should be able to tell you if your employer matches contributions to Seeding Labs. Please contact Teresa Ventura by email or call 617-500-3014 x11 with any questions. Earn your badge – which level is right for you?